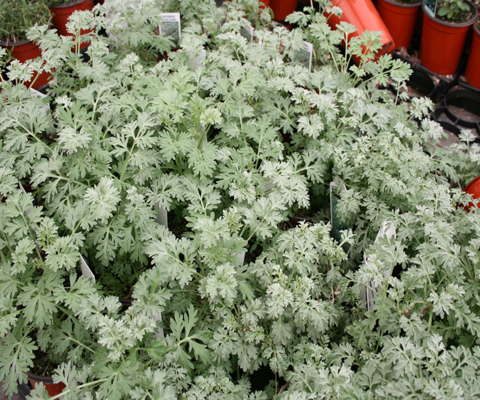 Artemesia 'Powis Castle' is a bushy woody based perennial. Mostly evergreen silvery grey plant. It is grown for its aromatic foliage and provides a nice contrast in your garden. Likes full sun and will do well in poor soils.